Some parts (like the clutch) are also still in a group format so you can customize it to your heart's desire. 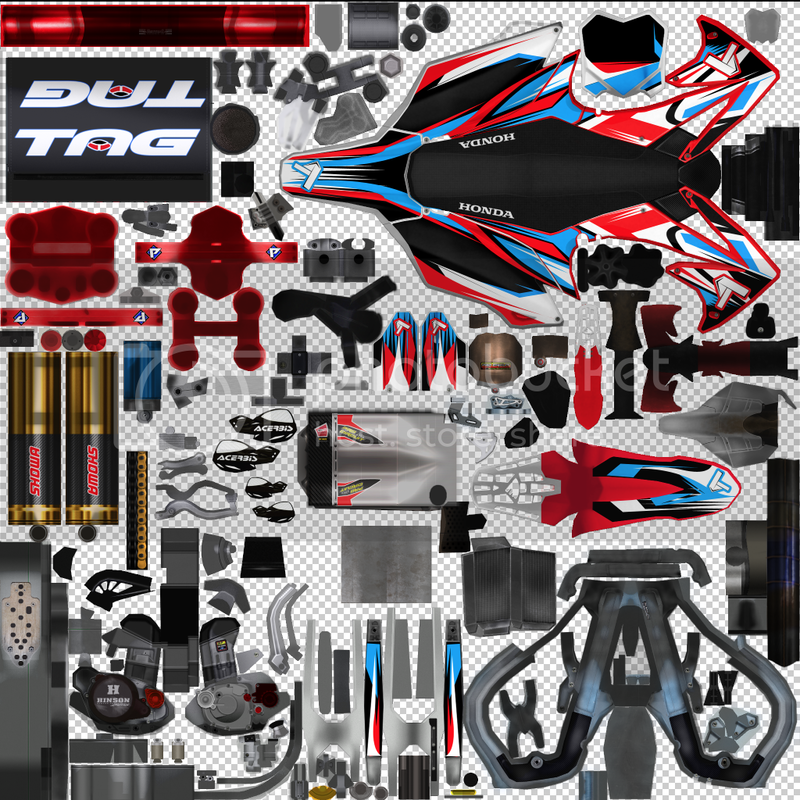 Hope you guys enjoy it, but please don't re-release my TSR graphics if their not for a team bike. Theres enough noob bikes being posted already. @ozark Dayum dude, you did the cr pack in gimp? I'd be scared to see what you could do in photoshop! @jamal dude I dunno botten has some pretty cool stuff! cheers this is fantastic! I have forgotten, what do I name my skin so it will work on the 450f? Crf450-2012 Yosh-skinname if your using the make your own pipe thing or TI-5. 2012 PC for the TI-4r. Fransoo773 wrote: @ozark Dayum dude, you did the cr pack in gimp? I'd be scared to see what you could do in photoshop! thank you man! do you know if its possible to put fmf pipe for this bike? That's what the pipe kit is for, just make some logos and your good to go. Ok I made a bike and it works great but the hand guards don't show up is there a way I have to name it or what?? Why will no one fix those fork shading. Its way to bright. Look at the YZF its got good shading. Notice how there's multiple shading options in the file? Boblob801 wrote: Why will no one fix those fork shading. Its way to bright.